DG, DH, FL, GK engines are similar to Spitfire MkIV FH, FK engines. RD, RF engines are similar to GE, FD. SS - (Factory) Supplied Spare/replacement or "Special Systems"
SK (Herald only) - probably similar meaning to the "SS" suffix used for Spitfires. 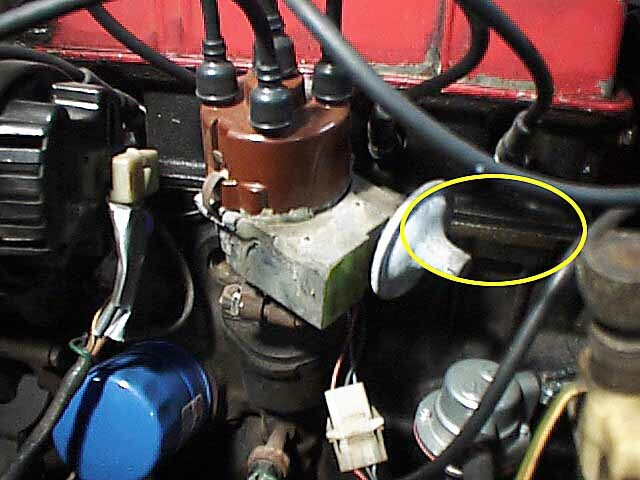 According to factory shop manual: "from Oct. 1965, spares conditon of stripped engine units were identified by suffix letters HESK"
FRE or FR - Engine number suffix for "Factory Reconditioned Engine". These engines often had its original number oblitterated by overstamping, usually with the letter 'X' and a special plate rivetted to the block on the vertical face of the boss which carried the original engine number. This identification plate was used on Standards and Triumphs from the mid 1950's into the 1970's and is equally applicable to the Standard 8 and 10 as it is to the TR6. Visit this link for a photo of the plate. ES - Engine Spare. Some engines have been recorded with the suffix "ES". It is believed that these are actually new engines supplied as warranty spares. Racing Engine Numbers: "70X" is the "Works" (Factory) 1147cc with eight-port head, "79X" is the 1296cc version. The 70 and 79 refer to the displacement of the engines in cubic inches. Visit the French Spitfire Club's Triumph Serial Numbers page for clues to that odd engine or transmission number. It can help you decide if, for example, if the engine has been replaced with one from a Herald instead of a Spitfire.